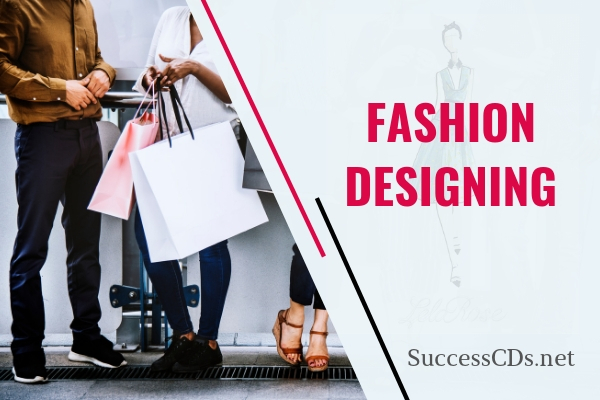 Fashion Design Entrance Test and Admissions 2019 - Fashion Designing Entrance Exam Notification 2019, Fashion Tech Admission Test 2019, NIFT Entrance Exam 2019 Admission Forms, IIFT Colleges in Delhi, Mumbai, Bangalore, Gujarat, Bangalore, Kolkatta, Fashion Design and Technology Admissions India, IIFT Admission Dates, NIFT and IIFT Application Forms, NIFT Entrance Exam 2019 Important Dates for Admission Application Forms, Fashion Technology and Fashion Design B.Sc. and M.Sc Entrance Exam Question Papers. IIT Hyderabad M Des Admission 2019 - Indian Institute of Technology (IIT) Hyderabad has initiated the process of IIT Hyderabad M.Des Admission 2019 for the admission into Master of Design (Visual Design), a 2-year full time course offered at the Campus. IIT Guwahati M.Des Admission 2019. Check out more info on dates, eligibility and application process for IIT Guwahati M.Des Program 2019. Dhirubhai Ambani IICT M.DES (CD) Admission 2019. Check out more info on dates, eligibility and application for DAIICT M.Design Admission 2019. CIT Kokrajhar B.Design Entrance Exam 2019 - Central Institute of Technology (CIT) Kokrajhar invites application for the admission to three years Four-year Bachelor of Design (B.Des.) Program for the academic session 2019. Gurukul School of Design B.Des Admission 2019 - Gurukul School of Design invites applications form the interested candidates for admission into B.Des Program for the academic year 2019. NIIFT Mohali Admission 2019 - Northern Indian Institute of Fashion Technology (NIIFT) invites applicants for Undergraduate and Postgraduate Degree Programs for the academic year 2019 at Mohali, Ludhiana Centres.The notification for NIIFT Fashion Technology Institute Mohali Entrance Exam 2019 has been announced. FDDI AIST 2019 - Footwear Design & Development Institute (FDDI), Noida has invited applications from Indian and Foreign Nationals for admission to Master’s and Bachelor’s Degree Program of the academic year 2019-20. Avantika University Admission 2019 – Applications are invited by Avantika University for admission four year Bachelors in Engineering, 4 years full time Bachelor of Design (B.Des) and 2 years full time Master of Design (M.Des) Program for the session 2019-20. Pearl Academy of Fashion Admission 2019 - Applications are invited by Pearl Academy of Fashion for admission to its Undergraduate and Postgraduate Programs offered under various schools across its different campuses for the academic year 2019. IIAD Design Aptitude Test (iDAT) 2019 - Indian Institute of Art and Design (IIAD), New Delhi invites applications for admission to Bachelor of Arts (B.A Honours) offered in Fashion Design, Interior Architecture & Design and Communication Design Program for the academic session 2019. KIIT Entrance Examination (KIITEE) is the All India Entrance Examination conducted by (Kalinga Institute of Industrial Technology) (KIIT University), Bhubaneswar for admission into following courses of the University. ARCH invites applications for the All India Entrance Examination (AIEED) towards its 4 year under graduate level programmes, for the academic year 2019. CEPT University Ahmedabad Masters Programs Admission 2019- Centre for Environmental Planning and Technology University (CEPT) Ahmedabad has notified admission to Postgraduate Programs offered in various disciplines for the academic session 2019. Nirma University, Ahmedabad invites applications for admission to Bachelor of Design (B.Des) Program offered in Industrial Design and Communication Design in the Department of Design for the academic session 2019. MAEER's MIT Institute of Design invites application for admission to the UG & PG Programmes with the following specialization through Design Aptitude Test (DAT-2019) for the academic year 2019. MIT Art, Design and Technology University Pune Admissions 2019 – MIT Art, Design and Technology (MIT ADT) University has released an official notification for the admission to various undergraduate and postgraduate programs for the academic session 2019. NIFT Lateral Entry Admission 2018 - National Institute of Fashion Technology (NIFT) Lateral Entry admission provides an opportunity of NIFT education to candidates who have completed their Diploma/Degree in relevant/related fields of Fashion Design & Technology for direct admission to the third semester of UG Programs of NIFT at NIFT Campuses. TDV The Design Village, Noida invites applications from eligible candidates for admission into its Full Time Under Graduation and Post Graduation Courses in Design (B.Des and M.Des ) for the academic year 2018-19. Directorate of Distance Education (DDE) - Sastra University, Thanjavur, invites applications for admission into its Bachelor of Fine Arts (BFA) and Master of Fine Arts (MFA) in Dance offered in through distance mode for the academic year 2018. School of Fashion Technology (SOFT) Pune invites application for admission to B. Design, and Industry Integrated Programs with International Exposure for the academic year 2018-19.